I have always had fond memories of spending time with my family at the Jersey Shore and my aunts were a big part of that. Over the past few years I have been bringing my son back during the summer as often as I can. 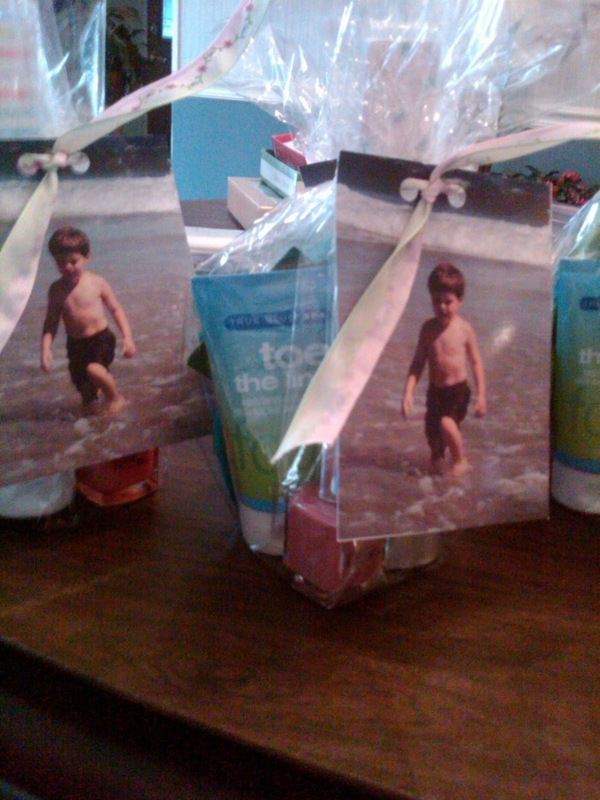 Since my aunts were a big part of that time as well, last Christmas I put together a pedicure kit, tied together with a picture of my son at the shore. It included Toe In the Line Foot Scrub, fun and colorful nail files, nailpolish, shea butter lotion and pedicure socks. All items were from Bath and Body Works. It was fun, easy and an inexpensive way to show them how much they mean to me. I also hope it reminded them of a warmer time in the cold winter months.